When Kevin Johnson, 22, goes to Wallace, Idaho, days after his college graduation, he expects to find rest and relaxation as his family prepares his deceased grandfather's house for sale. 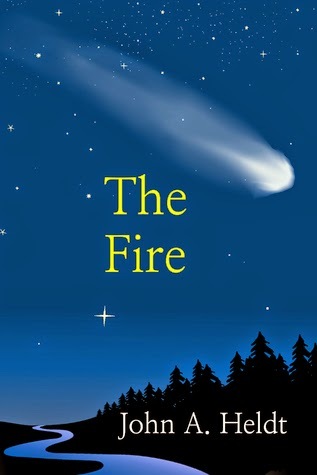 Then he discovers a hidden diary and a time portal that can take him to 1910, the year of Halley's comet and the largest wildfire in U.S. history. Within hours, Kevin finds himself in the era of horse-drawn wagons, straw hats, and ankle-length dresses. Returning to the same time and place, he decides to travel again and again and make the portal his gateway to summer fun. The adventure takes a more serious turn, however, when the luckless-in-love science major falls for pretty English teacher Sarah Thompson and integrates himself in a community headed for tragedy. What do you do when you're left all alone for a day? That's right! Time travel and fall in love at first sight! But what happens when you go back the second time and become a hero and fall in love again, with a different girl? What if you had the chance to spend time with your past relatives and learn their secrets? And...what if you could still make it back to the future again in time for dinner?? Heldt just seems to keep getting better and better. If you've read any of his other books, you know who Grace and Joel are. This story picks up with their son, Kevin. And Kevin takes a lot after his father, so it's guaranteed to be an interesting read. The most fascinating part of this book for me was how Kevin handled having more than one love. How do you choose? How do you pick one? And when they offer you the choice of having both, how do you turn that down? In today's society, most men wouldn't, but Kevin has been raised with strong morals that seem to be long dead. Surprisingly, he doesn't seem out of place in today's world, and he fits in just as well in the year 1910. He's a true hero and though once again, we seem to have a character that's too good to be true, I absolutely adored him. This is another fast-paced book that will have you flipping page after page to get to what happens next. I love Heldt's flair for putting ordinary people in extraordinary situations and just waiting to see what happens.